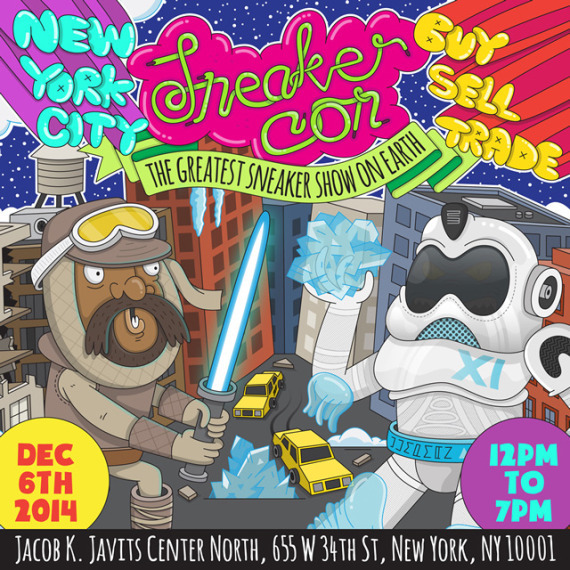 Sneaker Con is coming back to NYC on December 6, 2014. 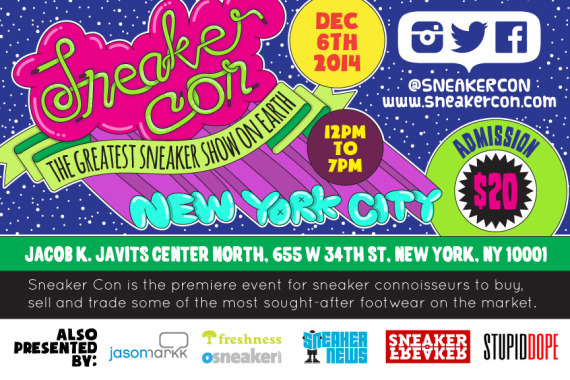 It will be held at the Javits Convention Center and start at noon. 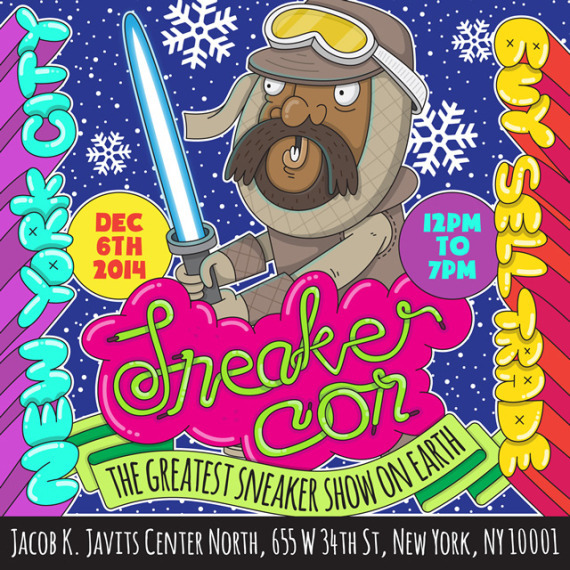 There are bound to be thousands of people and huge lines, so you can preorder your tickets here. The New York City Con is always crazy awesome so take some photo/video if you go! The artwork is phenomenal for this Con as well.